Suffolk House Antiques | A Charles II oak two part chest of drawers. Dating from about 1680, this chest of drawers was made in two parts to allow it to be carried upstairs, particularly if they are narrow or winding. 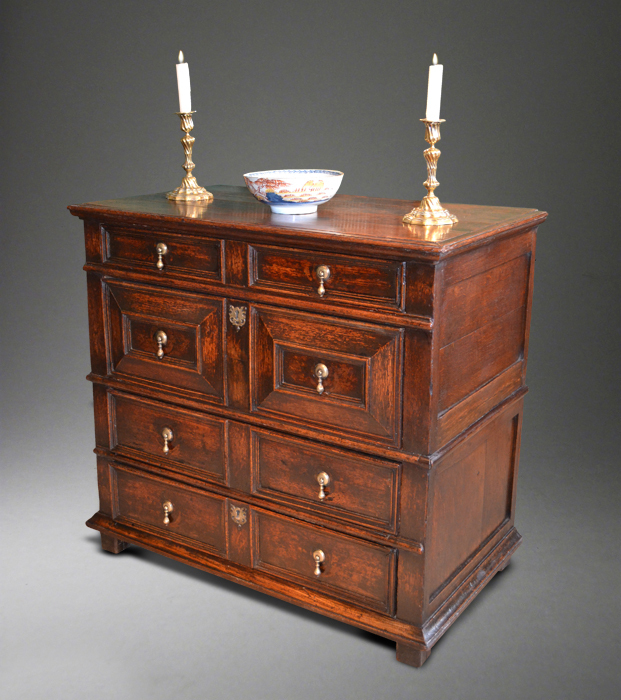 Each section consists of two side hung moulded front drawers with good oak linings. The top has mitred moulded edges and it stands on its original stile feet. The colour and patination are excellent and it measures 39 1/4 inches wide x 21 1/2 inches deep x 36 1/4 inches high. The price is £2350.